Desktop app that finds you the perfect subtitle match for your videos. A desktop app that finds you the perfect subtitle match for your videos. Simply download now and drag and drop videos to get started. 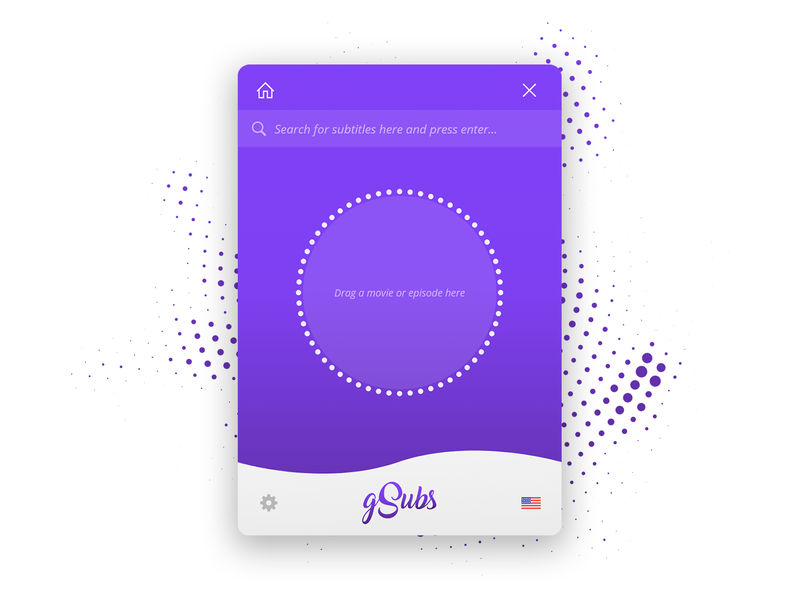 gSubs is multi-platform, open-source, and built entirely on web technology. The following features made what gSubs is today and many more features will be, hopefully added with the support of great open source community in the future. Just drag and drop the video files that you want to search subtitle for and gSubs will do it&apos;s job. No more browsing and selecting videos from the mysteries directories that you don&apos;t know. gSubs supports multiple files input, meaning you can drag and drop as many files as you want and gSubs will find subtitles for each and every file. You have an entire season with dozen of episodes? gSubs gets your subtitles for the entire season in one time. You don&apos;t have a video file but just want to donwload your favourite movies or series subtitles? Don&apos;t worry, gSubs consists of the search function where you can input any queries for search. gSubs will give you the results according to the language that has been set. gSubs are capable of finding you subtitles for 10 languages which are English, Español, Français, Italiano, Nederlands, Polski, Português, Român, Svenska and Türkçe. Many more languages will be added soon. gSubs have auto update feature included in it. This means you don&apos;t have to manually download the latest release every time. gSubs downloads and installs the latest release automatically. We does give you credits for your contributions. Every contributors name will be shown in our contributors page at gSubs Contributors. gSubs currently uses 2 sources to gather subtitles. When user drag and drop the video files, gSubs looks into SubDB source first followed by OpenSubtitles source. We hope to add more sources in the future. We would like to thank the following great beings and projects for assisting and giving us the motivation to build gSubs directly or indirectly. and to all the great beings who are helping building great things to make our life easier at GitHub. If this project helps you in any way making your life easier, you can give us some donation to get gSubs released in Mac OS and Linux.